A lifelong Seminoles fan, Didier was honored to present to the Florida State Football team recently. 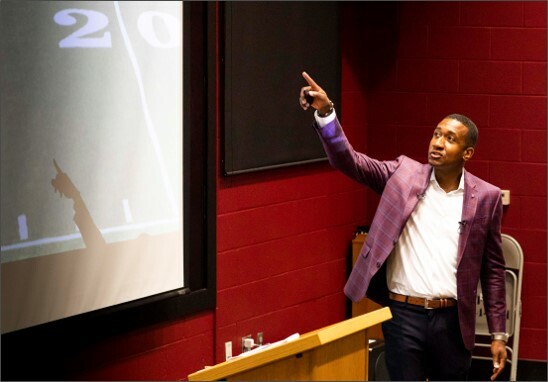 Combining his passions for athletics and financial planning, he spoke to the team about the importance of developing money management skills during their college years. 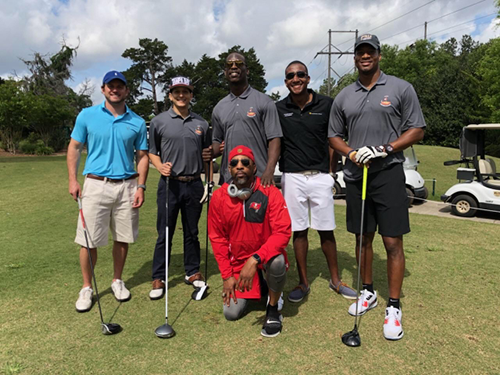 On the 12th and 13th of April, Didier Occident had the opportunity to sponsor Jameis Winston's 1st Annual Seminole Golf Classic in Tallahasse, Fl. 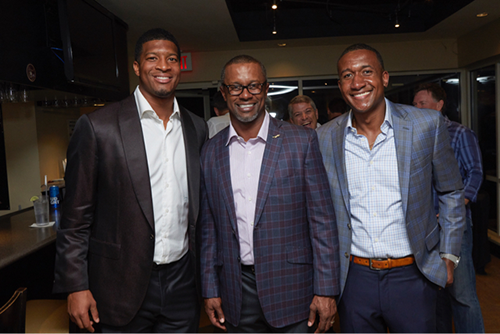 The event raised $27,000 for Winston's Dream Forever Foundation and the work that it does to inspire underprivileged youth. Didier is very grateful to everyone that participated and all the current and former Seminoles that came out to support this important cause! As a dedicated advocate of professionals in the medical field, Didier felt fortunate to sponsor this year's Connection Session presented by the Pharmacy Initiative Leaders Inc. in Orlando, FL. 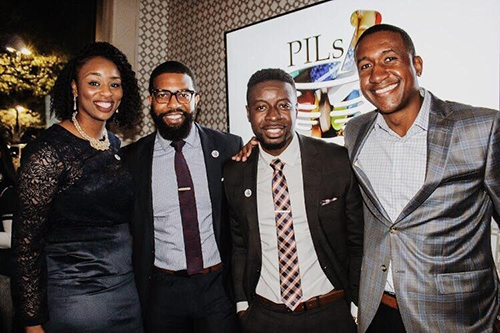 This innovative non-profit corporation strives to empower aspiring pharmacists by creating meaningful connections and supported underrepresented communities in the profession. The event gave Didier the opprotunity to provide support beyond the financial planning sphere. 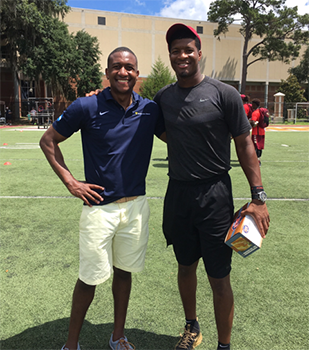 In June 2017, Didier Occident was the headline sponsor of Jameis Winston's Champ Camp at Florida State University in Tallahassee, FL. Didier joined Jameis, many of his fellow NFL players, and some current Florida State players at the camp. The free camp provided an opprotunity for young athletes from Tallahassee and the surrounding areas to learn football techniques from some of their favorite players and experience new ways to bring character and integrity onto the field. Being part of this event allowed Didier to combine his passion for helping others with his enthusiam for sports, namely his love for Florida State University. On April 12, 2015, Didier Occident helped Northwestern Mutual Virginia to present a $25,000 check to Richmond non-profit, Connor's Heroes. Didier's office actively volunteers in the community through Connor's Heroes. The funds will support the "Heroes Bags & Backpacks: and "Helping Heroes" programs. To learn more about this incredible organization that supports children with Cancer, and their families, please visit www.connorsheroes.org. Didier Occident and Northwestern Mutual are committed to the fight to end childhood cancer. 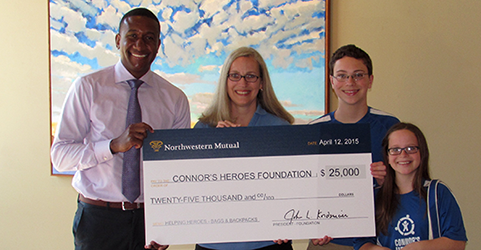 Didier is proud to serve on the Board of the Connor's Heroes Foundation, a local nonprofit.